After being a founding partner of two law firms, Silver & Freedman, APLC, and Freedman Weisz, LLP, Neil happily reunited with several of his former partners and joined Webster Kaplan Sprunger LLP in 2013. Neil is highly experienced in the practice of family law, having had over forty (40) years of experience in that field. He negotiates and drafts premarital and postnuptial agreements, cohabitation agreements, domestic partnership agreements, as well as handling all marital dissolution issues, divorce settlements, divorce trials and post-judgment matters. He also has experience litigating high conflict and/or complex financial issues, custody and support issues, breach of fiduciary duty and all other issues involved in a divorce. Neil works closely with his clients, which include high-profile individuals, entertainers, sports professionals, and others. 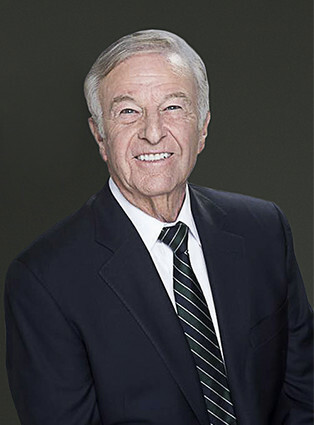 He has been a member of Family Law Section of the Los Angeles County Bar Association for over 40 years and has served as a volunteer mediator of the Los Angeles Family Law Department. Neil also has over 40 years of business litigation experience representing clients in both trials and at the appellate level. He has been actively involved in alternative dispute resolution, arbitration, and mediations, and has served as both a mediator and arbitrator. Neil has litigated business and commercial disputes by, between and among individuals, corporations and partnerships in matters involving contracts, business fraud, embezzlement, sales and acquisitions, guarantee and surety issues, leases, landlord and tenant disputes, and fraudulent conveyances. His clients range from national companies to individual professionals and business people. He has litigated matters on behalf of clients in retail sales, manufacturing, construction, food, medical services, healthcare, and in the professional service sector. Neil has lectured in the field of business litigation and has conducted seminars on avoiding business litigation, as well as business dispute resolution. He is a member of the Los Angeles Trial Lawyers Association, the Los Angeles County Bar and Century City Bar Association. Neil has also been named to the list of Southern California Super Lawyers by Los Angeles Magazine and was named Litigator of the Year by the Century City Bar Association. Neil was born in Los Angeles and received his J.D. from Loyola University School of Law, where he was a member of the Loyola Law Review. He received his B.A. in Political Science from the University of California, Los Angeles. Neil is rated “AV”, the highest possible peer review rating for legal ability and ethical standards. He has practiced law in Century City for his entire career. Neil has been happily married for over 44 years and has two children, a son-in-law, who also is a litigator and partner at a major California law firm, and two beautiful granddaughters.